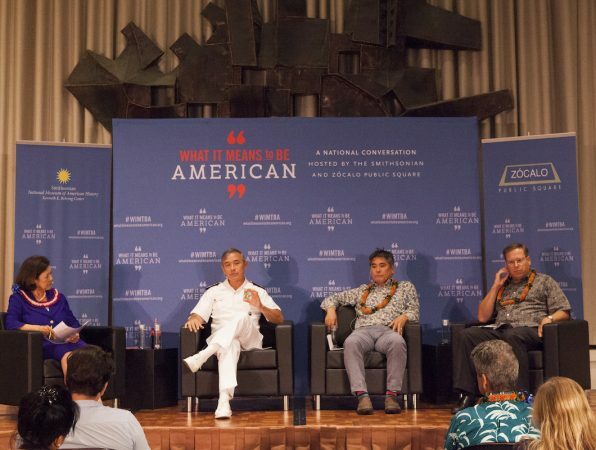 The wide-ranging conversation before a full house at the East-West Center in Honolulu explored trade, the economy, and military strategy, and emphasized Hawaii’s value as one of the nation’s most inclusive and culturally diverse states. 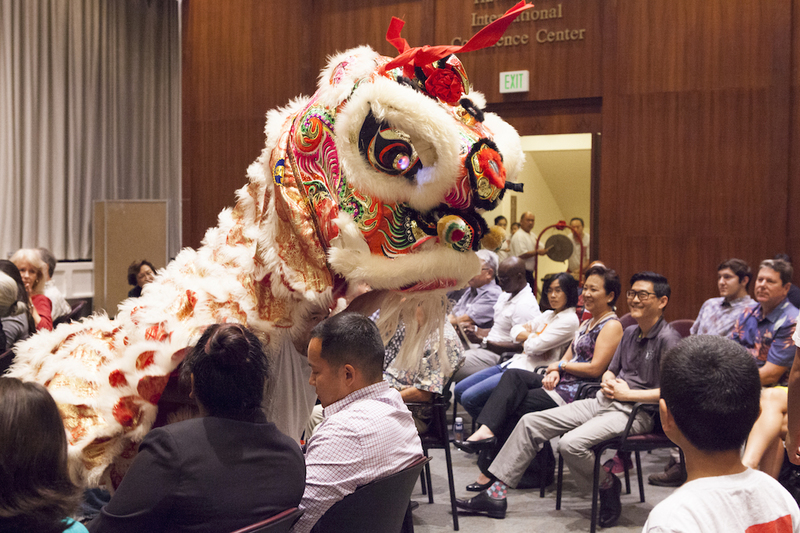 The program kicked off with a traditional oli, or native Hawaiian chant, including the harmonic blowing of conch shells, followed by a Chinese lion dance. 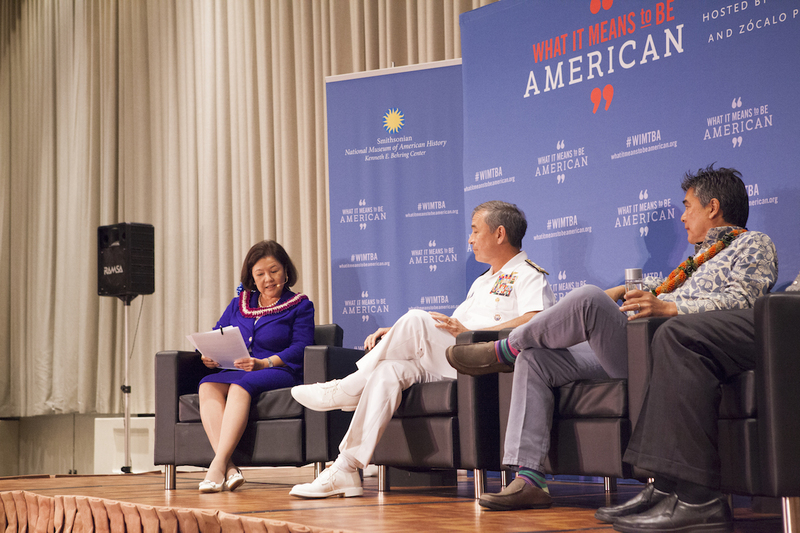 Moderator Irene Hirano Inouye, president of the U.S.-Japan Council, opened the discussion by asking each of the panelists to address questions exploring how Hawaii is fulfilling its role on the global stage and what it could be doing better. 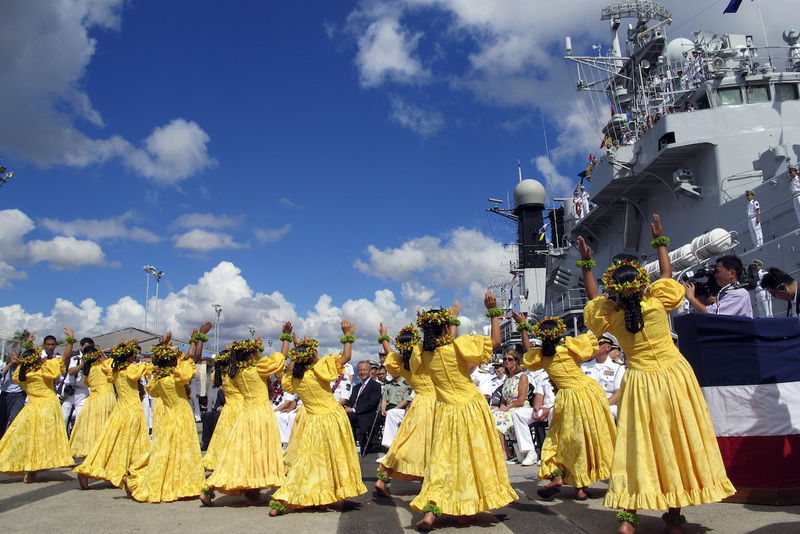 Admiral Harris concurred on the value of Hawaii’s physical location for different reasons, pointing out that Hawaii is home to the United States Pacific Command, America’s largest and oldest command with about 400,000 total personnel throughout the Pacific. 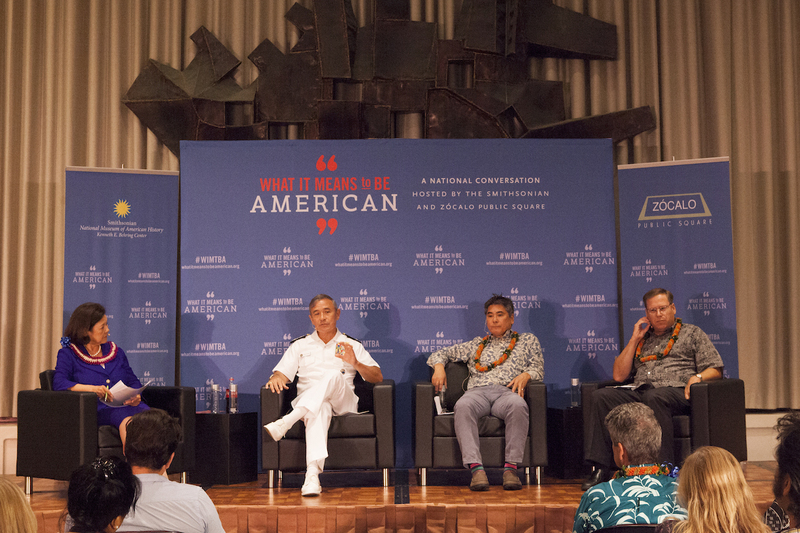 The third panelist, Roy’s Restaurant chef and founder Roy Yamaguchi, whose chain stretches across both Hawaii and the mainland, stressed the importance of cross-cultural understanding to Hawaii’s economic success. Yamaguchi, who is known for fusing French and Japanese cuisine, described himself as an “Army brat” who grew up in Japan but whose family heritage is rooted in Hawaii. 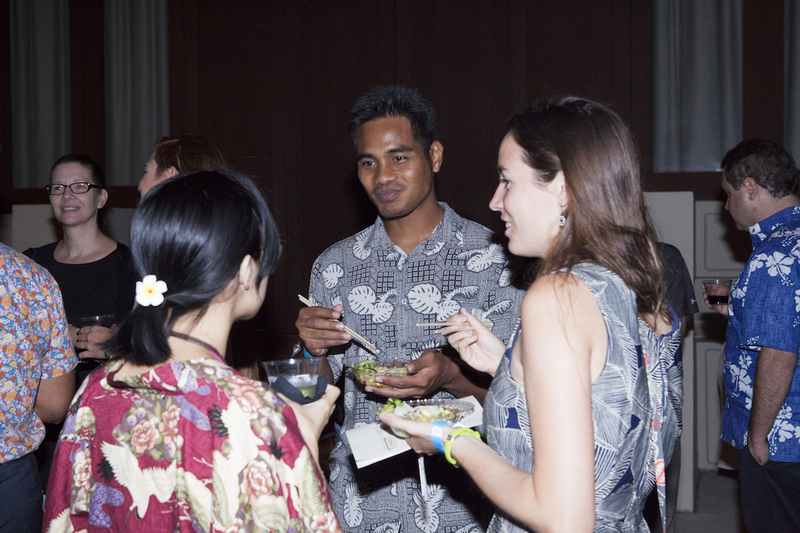 Hawaii can act as a magnet for really thoughtful people from around the world, for big set-piece government meetings, but also lots of conversations among leaders of the Asia Pacific. 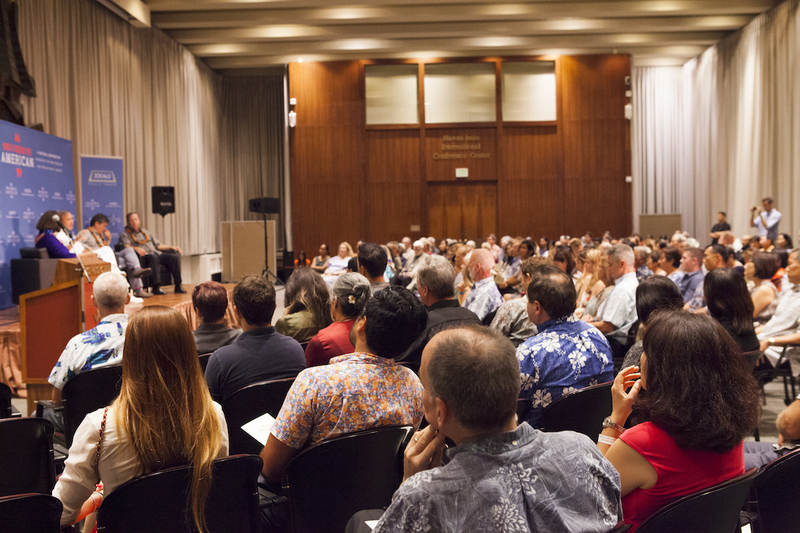 Inouye asked the panelists to address another ongoing challenge for the islands: Ambitious visions for the future aside, Hawaii’s draw as a tourist destination has generated significant economic benefit, but also contributed to a soaring cost of living. How, she asked, can Hawaii balance growth and its global aspirations while also ensuring that it is “livable and affordable”? 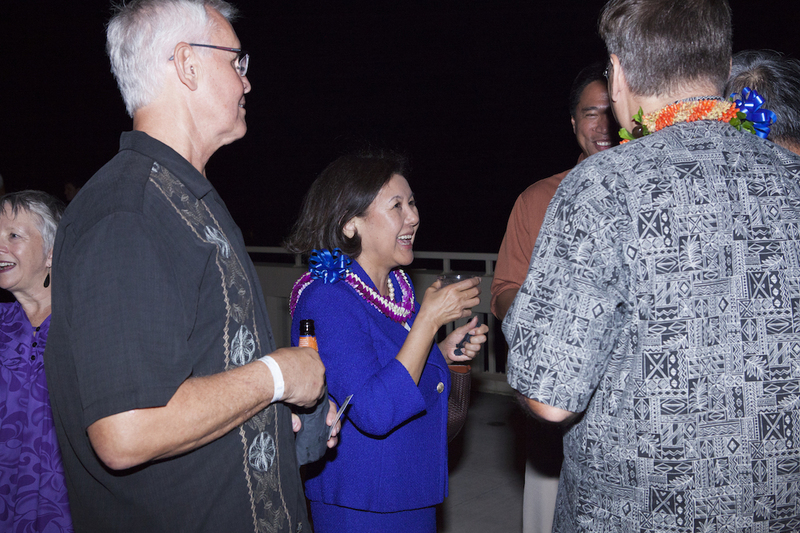 “That’s probably a question for the governor of Hawaii,” Tong quipped, to appreciative laughter from the crowd. “If you think about a place like London or New York or Hong Kong—where I live now—it’s very expensive, but people continue to move there,” Tong said. The government needs to work hand-in-hand with business to ensure livability. During the question-and-answer period, one audience member wondered why, despite Asia’s obvious emergence as a global leader, the United States remained stubbornly Euro-centric in its cultural leanings. Harris observed that while the U.S. will always have strong ties to Europe, “we’re changing as a nation,” and Asia’s primary role will become more apparent in the months and years ahead. Sara Catania is the editorial director of Zócalo Public Square. 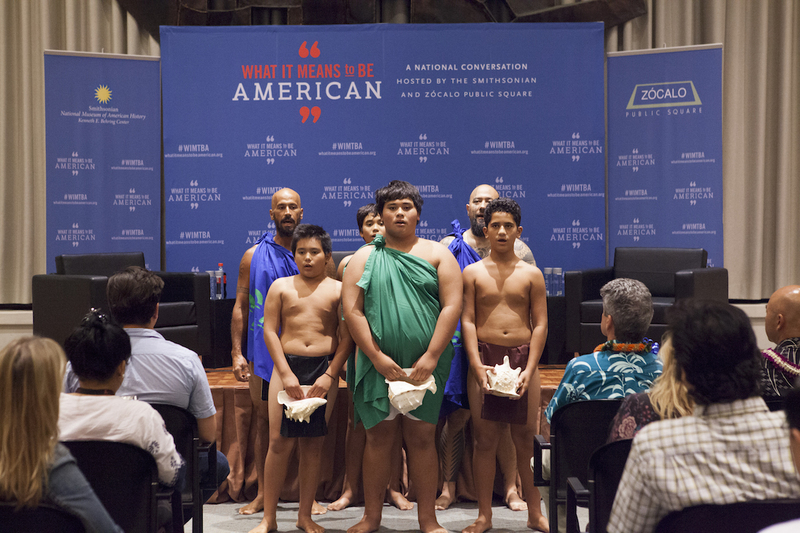 Will Hawaii Guide America Into the Pacific Century?